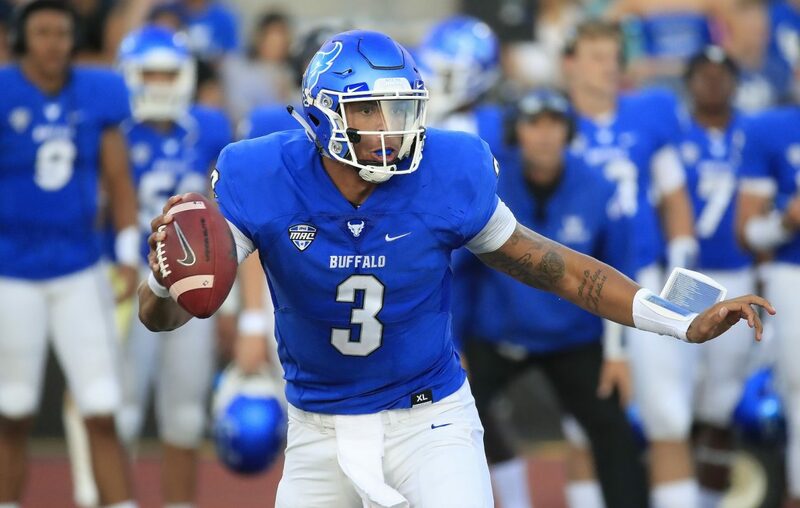 The Detroit Lions and Miami Dolphins recently had representatives visit the University at Buffalo campus to meet with quarterback Tyree Jackson, NFL Network's Tom Pelissero reported. Jackson is projected among the top 10 quarterbacks available and could be a mid-round choice. He has been working with quarterback consultant Jordan Palmer in California, but also has spent time on campus. At UB's Pro Day in mid-March, Jackson said he was focusing on showing improved footwork. “When I got to California, what I really wanted to improve was not swaying. I’m a long guy, I have a lot of moving parts. I’ve really cleaned that up a lot. I feel very confident now when I throw and I’ve gotten a lot of positive feedback about it.